USACE Contractor Quality Control (CQC) Plan Templates meet USACE-NAVFAC-AFCESA NASA Quality Control Requirements UFGS 01 45 00.00 20 and include a 100% Submittal Acceptance Guarantee. We'll assemble a contractor quality control plan based on your contract specifications and personalize it with your company, project, and scopes of work information. If you have very complex or non-standard requirements, we offer customization services. We can add additional writing or customize your plan when needed. You'll also receive a set of inspection forms with checkpoints for the CSI Division you do work in. See By CSI Divisions for more information. All of our products and services carry a 100% money-back guarantee. 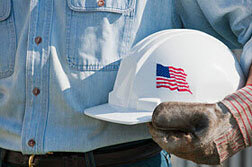 We make sure you get what you need to have your USACE quality control plan submittal approved. There's no fine print. Take at look for yourself. See Money-Back Guarantee for more details.